Wigs4Kids is a Michigan based non-profit that helps kids who are dealing with hair loss. 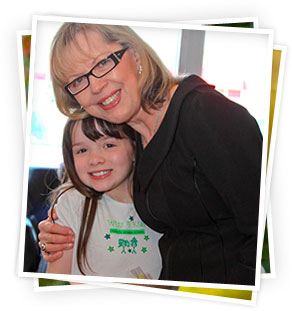 We specialize in helping children with the psychological, social, emotional and physical side effects of hair loss. Through generous donations we are able to create wigs for children, helping to restore their confidence and self esteem. You can also come to our wellness center where we have expanded offerings to assist with the struggles that children face when dealing with hair loss. At our Wellness Center, children may participate in art, music & drama therapy, tutoring if they are academically challenged, or self-empowerment & yoga classes to raise self-esteem and improve fitness. Wigs4Kids was founded in 2003 and has helped hundreds of children with the challenge of custom wigs. Wigs and support services are offered at zero cost to children and young adults struggling with hair loss due to cancer, alopecia, trichotillomania, burns and other disorders. Our wig recipients, also known as Ambassadors, range in age from 3 to 18, and are located throughout Michigan. You can make a difference today and help support local families in need. Unfortunately, in Michigan, the cost for wigs are not covered by insurance programs. You can support Wigs4Kids in several ways, including contacting your local representatives and supporting House Bills 4718 & 4808 which would mandate insurance carriers to help cover the costs of wigs for children. We appreciate any support you are able to offer, there are numerous ways to get involved and help make a difference. Contact us to learn more about our current needs, to enroll your organization in our corporate sponsorship or to participate in our annual gala.